Drake at Medusariffic, a truly tireless creator of A.S.F.R. 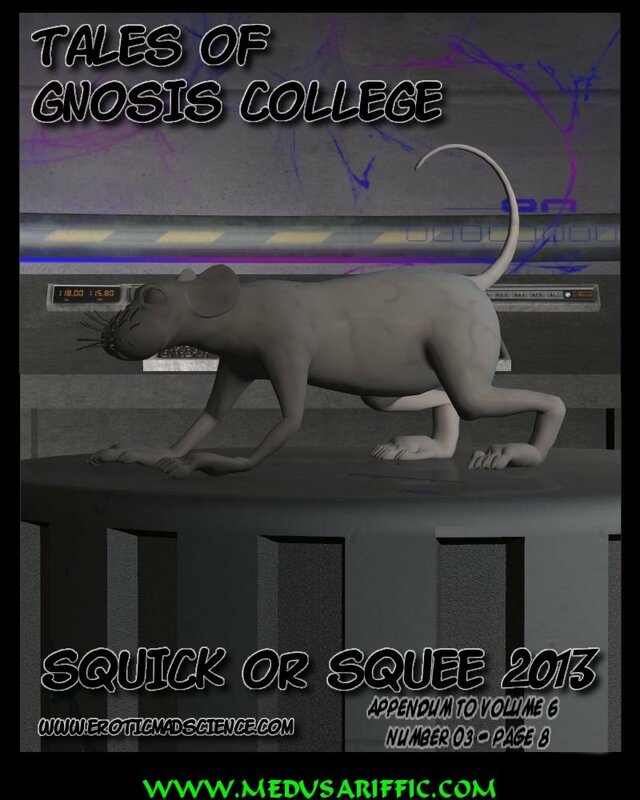 CG comics, was inspired by the “dreadful accident” alluded to by Mr. Takayama in Where Am I?, Chapter Three to create a backstory Tales of Gnosis College minicomic as part the 2013 Squick or Squee week. Here is the complete minicomic, presented by kind permission of the creator. Great comic, although I wish it had a better ending. Maybe you could do a sequel where this beautiful researcher could be brought back to life.